Need to do some yard work? 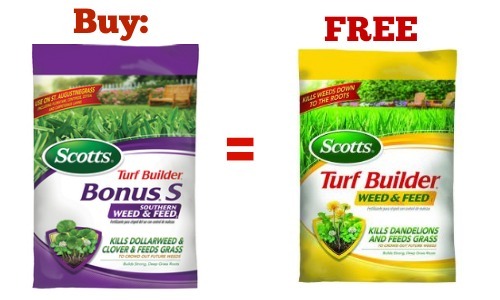 Starting 4/24, you can buy one bag of Scott’s 5000′ Weed and Feed and get one FREE bag of Scott’s Turf Builder 5000′ at Ace Hardware. The Weed and Feed is $20.99 per bag and Turf Builder is $15.99 bag so this is a fun savings. Available at participating Ace stores 4/24-4/26. Limit one per household.